Taking photos down the microscope with a smartphone can be tricky. You have to carefully line up the camera lens with the surprisingly small and wobbly ray of light that bursts from the eyepiece. You then have to keep very still while you press the focus and shutter button, otherwise you risk having to start all over again. I often hold my breath to try to optimise my chances of not having to repeat the whole process. Well, thanks to Kickstarter, which is a brilliant all-or-nothing project-funding platform, those days are over. 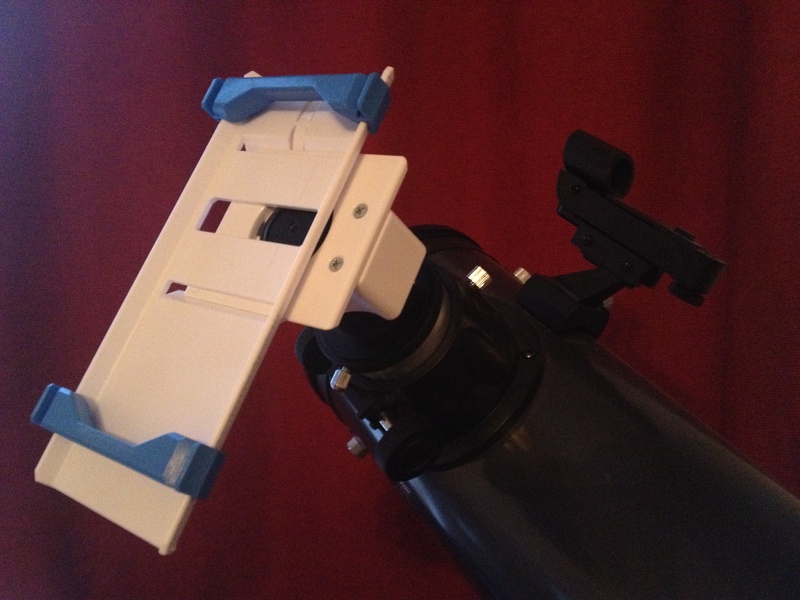 SkyLight is an adjustable adapter that allows you to connect a smartphone to a microscope. Finally!! 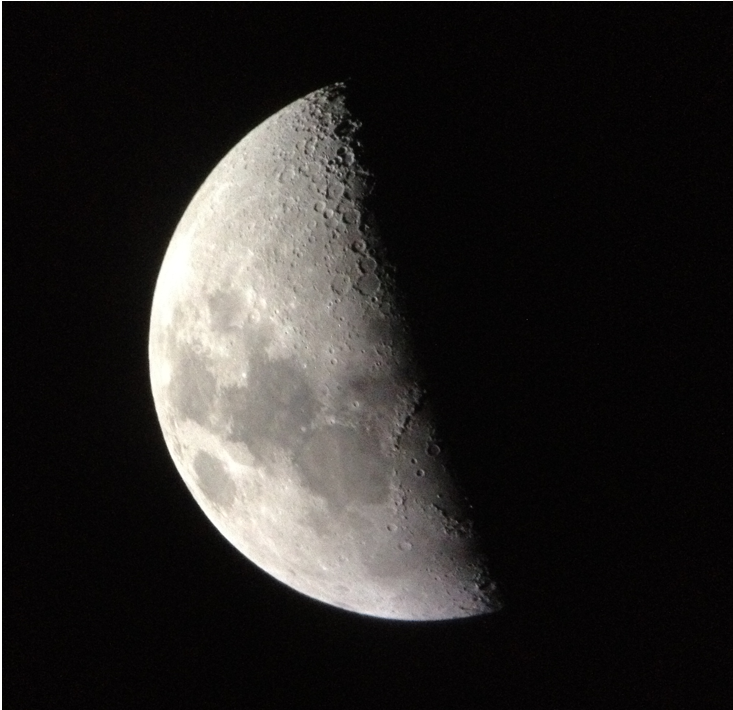 Steady microphotography….straight onto your smartphone!! So yes, I bought one, and it arrived yesterday. But, rather than using it in my lab to take photos of the microscopic world, it was a clear night and I decided to use it to look up, instead. 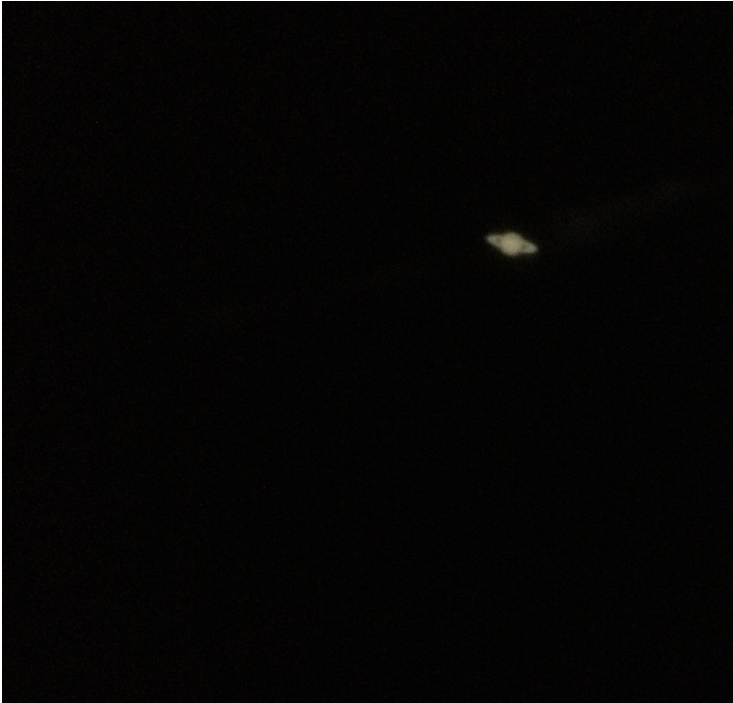 You may now realise that if you’re looking for a review on using SkyLight with microscopes, that time is not now. Though I will have a follow-up post once I have used it in the lab. The SkyLight comes with a set of easy to follow instructions, though it is not a complex gadget to figure out without them. Essentially, as can be deduced from the photo above, the smartphone lies screen up on the stage and is held in place with two adjustable clips at the top and bottom of the phone. The clips can be moved up and down the stage to accommodate the varying sizes of smartphones and to position the camera in the gap where the adapter is placed directly over the eyepiece. The stage is attached to the microscope by a circular base that is tightened around the eyepiece using a thumbscrew (see below). If at its tightest the base doesn’t securely clamp around the eyepiece, the SkyLight also comes with some strips of rubber inserts to wrap around the eyepiece, until the clamp fits around snugly. The most difficult part in attaching the SkyLight to the telescope was trying to perfectly align the iPhone camera lens with the eyepiece, so it was useful to draw marks on the SkyLight to indicate the best positioning. The clips do hold the phone in place, but without a rubber case around the phone, it does prove a little slidy, so it might be best to use a case, although I managed without one. You can see more clearly, from this photo, the gap in the stage through which the eyepiece and camera lens need to be aligned. The adjustable clips are blue in this version and a useful feature is that the bottom one has a catch so that your smartphone can’t slide right off. The stage can also be detached from the base by sliding it either left or right – a feature also useful when aligning the camera and eyepiece. Although not intended for use with a telescope, yes it did. I appreciate telescope eyepieces differ slightly from the microscope’s so it may be easier with the latter, but I was very happy with the results from my first attempt at using the SkyLight. I’m really pleased with how sharp these images came out, I really don’t think I would have been able to get them without the SkyLight. If you want to get your hands on your very own SkyLight, you can do so by clicking here. I now look forward to using it with my microscope in the lab. See how successful the SkyLight Kickstarter project became by checking out its original page here.